This is an iLugger II bag for 20" iMac made by LTA Projects. It looks unused and is in like new condition with no signs of wear. Colors gray with black accents. Has a shoulder strap and handles. Actual outer dimensions are approximately 18.5" wide by 19" high by 5.25" deep. Can accommodate 20" iMacs and smaller according to included instructions. Has a business card holder on the top, a slide pocket on the front, and a zippered pocket on the back in addition to the main pocket. Matte Frosted Case + Keyboard cover Apple iMac MacBook Air Pro 12" 11.6" 13" 15"
ILugger case for apple iMac. Compatible Computers. Tenba Apple 27inch IMac Flight Case With Wheels. Used only once-like new. Apple iMac 21.5" A1418 Late 2013 ME086LL/A Housing Case With Stand and speakers. Housing case has normal wear and tear. (See photos). The edge of the housing case (where the screen fits into) is straight and in good condition. Item includes. Item does not include Anything not shown in photos or listed above. The case is made out of 3/8” plywood construction. The top is removable for easy access to load your iMac. There are custom locations for a mouse and both the iMac keyboard and the full size Apple keyboard. Apple iMac A1419 27" Late 2012 2013 Aluminum Shell Casing Housing with Stand. iMac 27" A1419. iMac13,2 Late 2012: MD095LL/A (2.9 GHz Core i5). iMac13,2 Late 2012: MD096LL/A (3.2 GHz Core i5). iMac13,2 Late 2012: MD096LL/A (3.4 GHz Core i7). 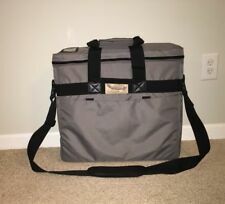 NSP Cases - 21" iMac Carry Bag. Enables you to transport your iMac easily and securely with this light weight but heavy duty, sturdy bag. >> Fits the New Slim and Old Apple iMac. >> Unique opening to place your iMac inside the bag with ease. THE "ORIGINAL" IMAC CARRY BAG New & Improved. Leading the way for a premium carry solution, the NSP Apple iMac Tote Bag has been a "must have" for professionals seeking the power of their iMac but without the restriction of a desktop. Apple IMAC 27 Computer - 3/8" Heavy Duty ATA Case - Great For Travel! Specifically fit for Apple Magic Keyboard MLA22LL/A, working with iPad / iPad Air / iPad Pro / iPad mini / iPhone / iMac (Case Only! Tablet and Apple Keyboard Not included!). Product Contents: 1 x Fintie Carrying Case for Apple Magic Keyboard (Only Case included! ). Up for sale is a Apple iMac A1311 21.5" Aluminum Shell/Chassis/Housing/Enclosure/Casing w/ Stand. We do our best to list all known defects so you are aware of what you are buying. What you see in the pictures is what you get. MODEL: A1311. MANUFACTURER PART NUMBER: A1311. As such, once an order has been placed, we are generally unable to cancel the order. MANUFACTURER BOX CONDITION. In good used condition. All included parts work. Unit had a bad display. Apple Cases. If you have been provided with a calling card, information on what to do next will be provided by the carrier. Sound & Light. 7mm lightweight black astroboard. 2 x Recessed Corner Wheels. Compatible models: Apple iMac A1418 21.5" Late 2012. Manufacturer: Apple. We stand behind our product 100%!